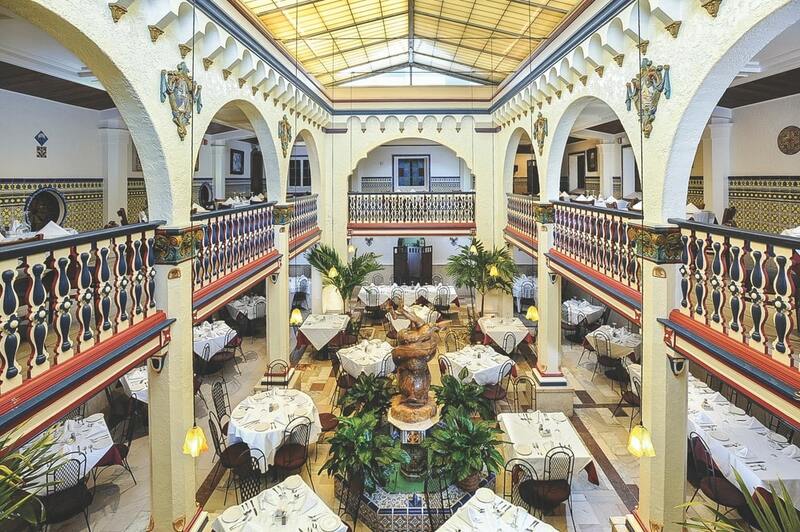 The Columbia Restaurant in the historic Ybor City neighborhood of Tampa, Florida, has been a mainstay of the area’s cuisine for generations. The restaurant began as the Columbia Saloon, opening on December 17, 1903. To put this in a historical context, while local cigar workers were enjoying Cuban sandwiches and Cuban coffee at their new neighborhood café, the Wright Brothers were making their first flight. 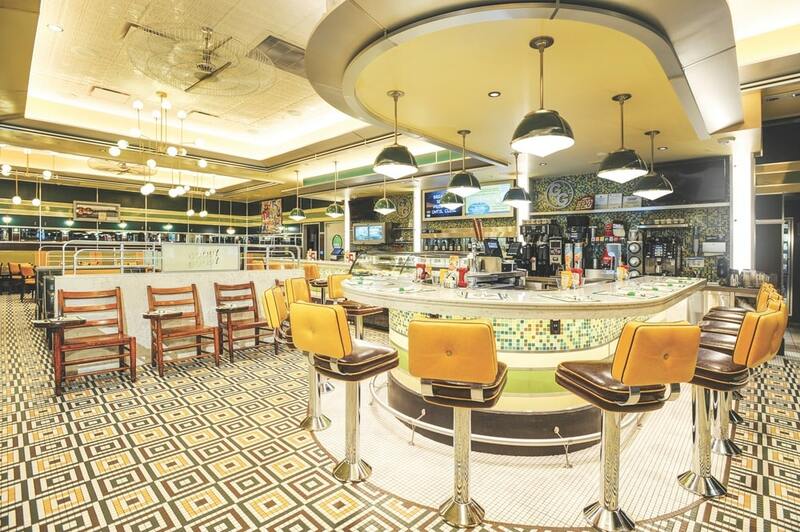 With the reopening of Goody Goody, a burger place that was a local favorite for eighty years before closing in 2005, and Ulele in the old Water Works building on the riverfront, the Gonzmart family is preserving Tampa cuisine in a delicious way. And because generations of that family persisted, generations of my family have made memories at Columbia Restaurant. My grandmother was born in Ybor City in 1910 and went to Columbia Restaurant with her family as a child. My mother remembers my grandfather stopping there while taking the family on a Sunday drive to get everyone ice cream cones with flavors such as guava, watermelon, and mango. (The ice cream was produced from the 1940s to the 1960s by the Tropical Ice Cream Company, founded by Casimiro’s son Gustavo.) She also remembers going there for the Gasparilla Pirate Festival night parade in the 1950s and seeing the original long mahogany bar lined with men in pirate costumes. My parents, who met at the University of Tampa, went to Columbia to celebrate the evening they got engaged, and my brother was engaged there five decades later. This restaurant is the stuff of memories, so, not surprisingly, there are dishes on the menu that would cause an uproar if they were to change. The classic Cuban sandwich, originally known as the Mixto, is a tribute to the diverse populations that came to Ybor City as the century turned from the 1800s to the 1900s: ham from Spain; salami from Sicily; mojo roast pork from Cuba; and cheese, pickles, and mustard from Germany. The Columbia version is served pressed, so it is warm, and the fresh Cuban bread is crisped. It is likely that I have never been to Columbia Restaurant without having the 1905 Salad; the name honors the year the saloon became the restaurant. I love this salad so much I often duplicate it at home. A base of crisp iceberg lettuce is tossed with julienned ham, Swiss cheese, green olives, and tomatoes. What makes this salad unique is the zip the garlicky dressing gets from just the right amount Worcestershire sauce. My family has favorites that are always good to see. My mother, whose table of choice is in the patio dining room near the fountain, loves the warm Cuban bread wrapped in paper that is brought to the table with butter when you are seated. My father loved the Shrimp Supreme, marinated and fried bacon-wrapped shrimp. While taking the Florida Bar exam at the Tampa Convention Center, I was in search of comfort food during the lunch break. I walked across the bridge to the location that was then on Harbour Island to have Boliche (roast eye round of beef stuffed with chorizo), black beans, rice, and platanos. And while I have tried all the desserts on the menu, I continue to gravitate to the flan. It was my favorite as a child and has been served at Columbia since 1935, when the restaurant opened Tampa’s first air-conditioned dining room. Keeping things interesting, the Gonzmart family is always looking for ways to make the menu even better. Richard Gonzmart makes frequent trips to Spain and brings ideas back to the restaurant, where Chef Geraldo Bayona, who has been with the company since 1997, brings them to life. The Columbia Restaurant makes history outside of Tampa as well. There are other locations around Florida, including Saint Augustine, Celebration, and Clearwater Beach. 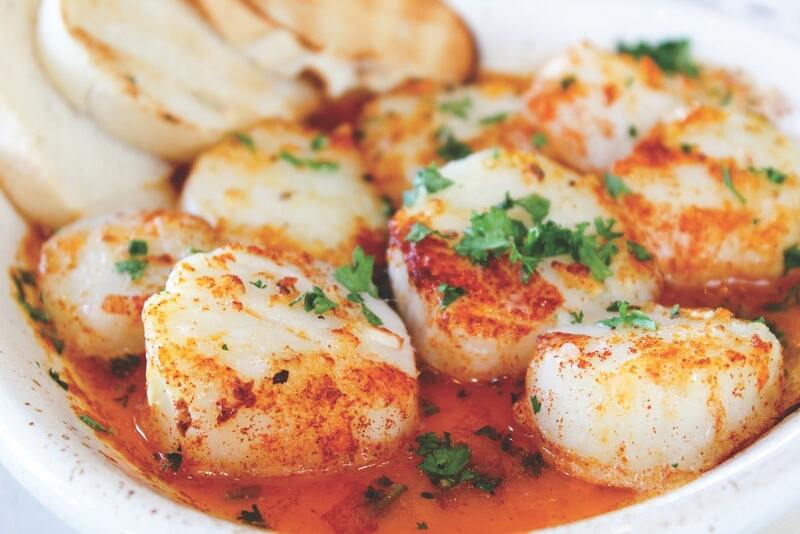 The Sarasota location opened on Saint Armands Circle in 1959 and is now the oldest restaurant in Sarasota. There are other locations around Florida, including Saint Augustine, Celebration, and Clearwater Beach. The Sarasota location opened on Saint Armands Circle in 1959 and is now the oldest restaurant in Sarasota. 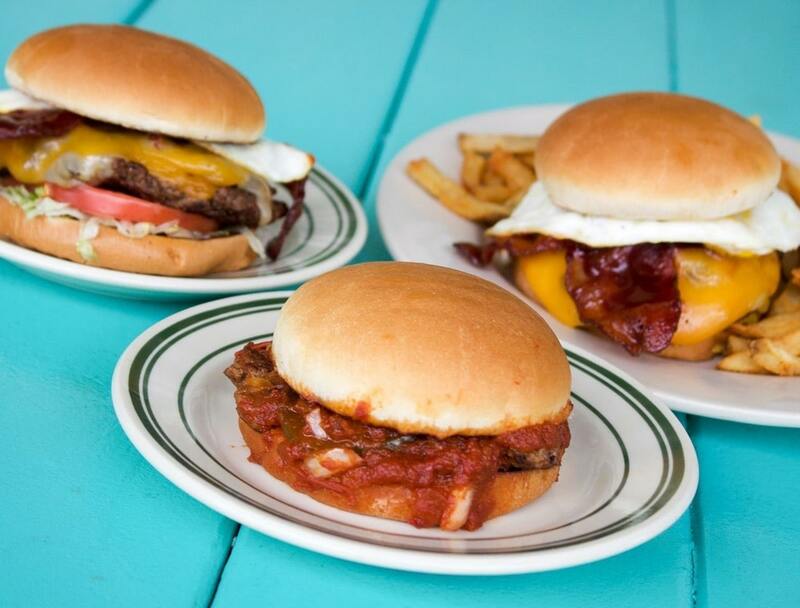 Richard Gonzmart’s appreciation of history, combined with his childhood memories of growing up in Tampa, prompted him to purchase the rights to Goody Goody, a barbecue stand turned burger place that opened as a drive-in in 1925. At its height, Goody Goody had several locations, with the last closing in 2005. It was known for its burgers with secret sauce (a seasoned tomato-based sauce with onions), house-made pies, and milkshakes. The Gonzmarts reopened the restaurant, still graced by its historic sign, in Tampa’s Hyde Park Village in 2016. I couldn’t wait to get there to order my usual: a Goody Goody Burger POX (pickles, onions, and secret sauce) and a piece of butterscotch pie. Richard says that while working at Columbia as a young man, he would often stop on the way home and pick up a bag of Goody Goody POX burgers to feed his family. I got hooked on them going there with my siblings, parents, and grandparents in the 1970s, and the burger I had in the new location brought back a flood of happy memories. The butterscotch pies, as well the coconut cream, banana cream, chocolate cream, and apple pies, are made on-site daily. In fact, making the food from scratch and to order was one of Richard’s goals in reopening this part of Tampa’s culinary history. Before I returned, I heard that the butterscotch pie wasn’t the same as before. When I asked about this, I found that the main ingredient in the original is a molasses-infused sugar that is not mass produced anymore. The recipe has been adjusted to create a version that is reminiscent of the original. According to Richard, “If you’re older than me, you might not like the new version. If you’re younger than me, this will be the best butterscotch pie you ever had.” Without getting into whether I am Richard Gonzmart’s age, I could tell the difference. While the original is the best butterscotch pie I’ve ever had, the new version is second only to the original. Happily, from time to time the original recipe is offered for a week or so in honor of Miss Yvonne Freeman, who baked the pies for Goody Goody for more than five decades and still visits. 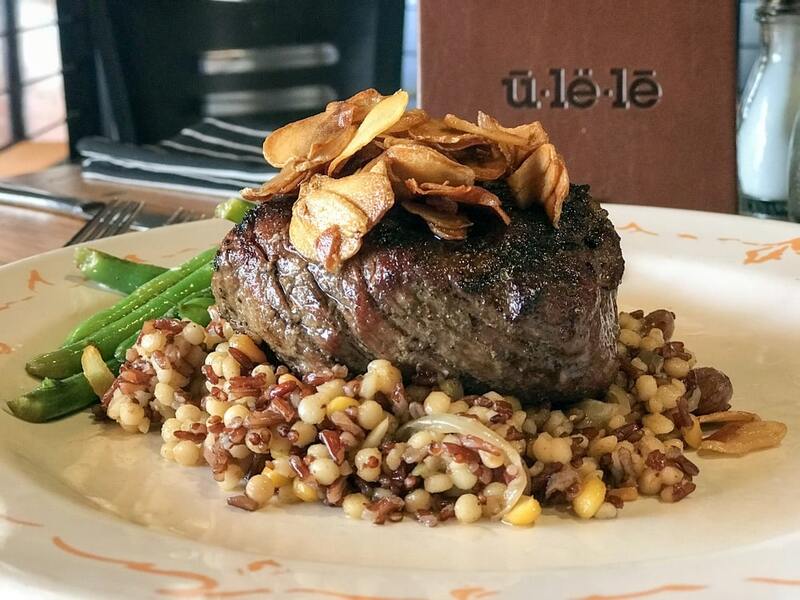 While Columbia and Goody Goody preserve historic Tampa restaurants, Ulele (pronounced you-lay-lee) is a new concept that honors history. Impressed with a native-themed restaurant in Montreal, Richard wanted to celebrate the foodways of the indigenous people who lived along Tampa Bay during pre-Columbian times, as well as the foods and crops of early European pioneers. Richard’s focus for the menu is local: shellfish—oysters, crab, and lobster, which were prevalent in local waters; Gulf seafood; pork—brought to North America by the Spanish through Tampa Bay during their first excursions; and beef—because Florida is one of the largest cattle producers in the country. The restaurant is named for Princess Ulele, the daughter of a Tocabagan chief in the 1500s; she is said to have fought to save the life of Spanish explorer Juan Ortiz. The restaurant is named for Princess Ulele, the daughter of a Tocabagan chief in the 1500s; she is said to have fought to save the life of Spanish explorer Juan Ortiz. A statue of her walking through fire is located near the entrance to the restaurant, which is housed in the old Water Works building, constructed in 1903. The Water Works had provided water to northern downtown Tampa and Ybor City, and the building, empty for many years, was in disrepair. To encourage the development of the Tampa Heights neighborhood north of downtown, Tampa’s mayor, Bob Buckhorn, put the building out for bid as a riverfront restaurant. In addition to Ulele, that neighborhood now includes two food halls, a brewery, and coffee shops, all accessible from the Riverwalk. Ever mindful of history, Richard recognized that when Columbia Restaurant was in its infancy in the early 1900s, it served beers from Florida Brewing Company, which used water from the Water Works. As a tribute, he included the Ulele Spring Brewery in the construction of Ulele, and he brought on a brewmaster to create a beer of malted grains, hops, yeast, fresh fruit, and local honey that would pair well with the foods served in the restaurant. At the top of the menu are the popular oysters charbroiled with garlic, butter, and grated cheese on the ten-foot barbacoa grill. An appetizer of fried okra eschews the breading for a squeeze of lime juice and sprinkle of salt that makes it impossible to stop eating one after another until the plate is empty. Soups include Native Chili with alligator, wild boar, venison, duck, ground chuck, and cranberry beans. The loaded version of this hearty bowl adds jalapeño, red onion, and white cheddar. 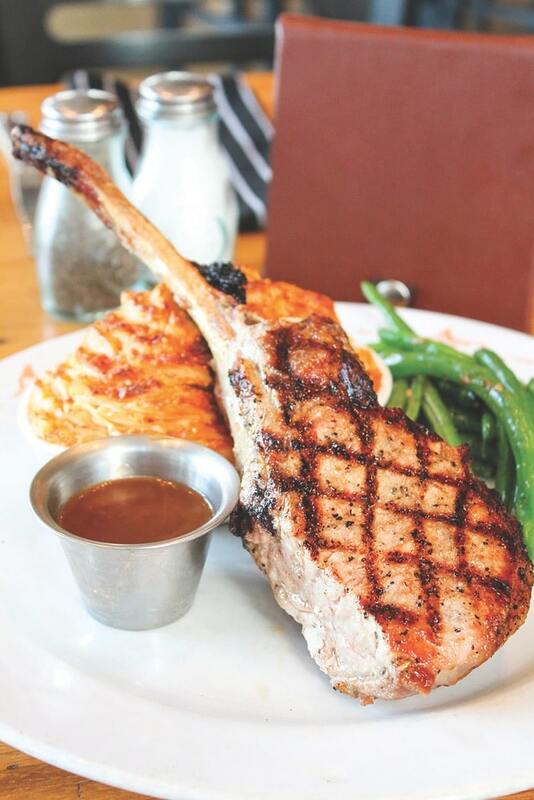 In addition to the abundant seafood entrées, Ulele serves a Crackling Pork Shank, a Tomahawk Pork Chop, and a handful of steaks. Inspired by those tropical ice creams at Columbia that my mother loved as a child, Ulele is making its own ice cream (the coconut is not to be missed). With that, things have come full circle. 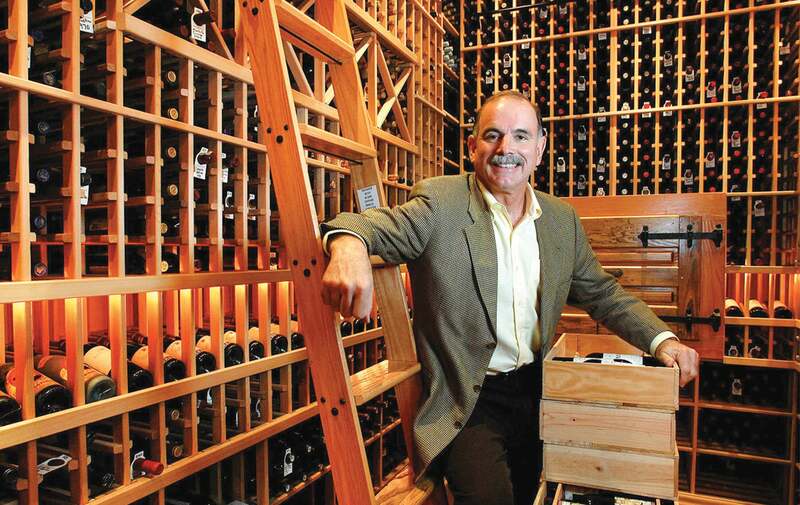 Richard Gonzmart and his family have preserved Tampa culinary history in three very different restaurants. At the same time, Richard’s vision has ensured that he and his family will continue to make history. Visit ColumbiaRestaurant.com, Ulele.com, and GoodyGoodyBurgers.com to learn more.